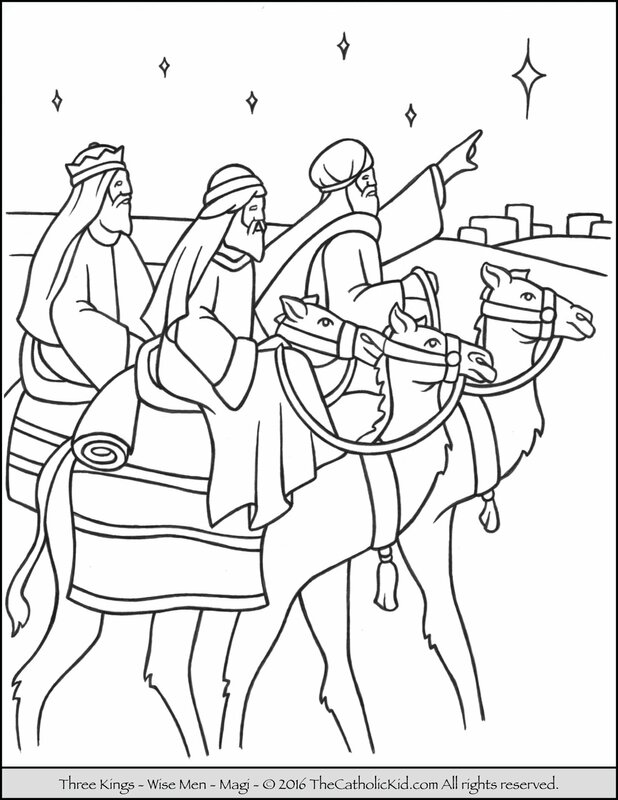 Read the Gospel of Matthew Chapter 2 while the children color this page of the Three Magi. The names of the three wisemen are identified as Gaspar, Melchior, and Balthasar. Myrrh a burial ointment (a gift for one who would die).